IRVINE, CA--(Marketwired - Feb 2, 2017) - Ingram Micro Inc. announced today it has been named Fortinet's 2016 North American Distributor Partner of the Year. Ingram Micro was honored during Fortinet's Accelerate 2017 global partner conference, an annual gathering of more than 1,300 top Fortinet partners from around the globe. Fortinet's 2016 Partner of the Year awards recognize outstanding cybersecurity sales, customer experience, collaboration, and marketing achievements from the company's distributors and resellers around the world. In 2016, Ingram Micro achieved one of the highest year-over-year growth rates for a North American Fortinet distributor. Additionally, Ingram Micro's Advanced Solutions organization worked with Fortinet to develop and execute a targeted channel-enablement strategy and program focused on providing channel partners the expertise needed to speed the sales cycle and successfully sell Fortinet security solutions. 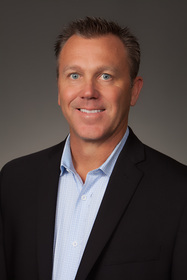 "We are honored to be recognized by Fortinet as its 2016 North American Distributor of the Year and continue to serve and support the widest breadth of Fortinet channel partners," said Eric Kohl, executive director, Advanced Solutions, Ingram Micro U.S. "Ingram Micro continues to support Fortinet through developed and delivered resources and programs such as the Cyber Threat Assessment Program (CTAP) and our technical enablement. We are excited to build on the success of our Fortinet relationship and support Fortinet's efforts throughout the entire security sales cycle." "Ingram Micro has played a critical role in delivering the best cybersecurity solutions to the market in 2016 and has demonstrated exceptional leadership in driving customer security and success," said Patrice Perche, senior executive vice president, worldwide sales and support at Fortinet. "We congratulate their achievements and look forward to continued success for all of our partners in 2017." Accelerate 2017 offers a unique opportunity for partners and customers to gain insights about Fortinet's Security Fabric vision, provide direct feedback to Fortinet leadership, learn to maximize Fortinet's enablement programs, and gain and share best practices with the cybersecurity industry's best and brightest. You can learn more details about the Fortinet Partner program here. Fortinet (NASDAQ: FTNT) secures the largest enterprise, service provider, and government organizations around the world. Fortinet empowers its customers with intelligent, seamless protection across the expanding attack surface and the power to take on ever-increasing performance requirements of the borderless network -- today and into the future. Only the Fortinet Security Fabric architecture can deliver security without compromise to address the most critical security challenges, whether in networked, application, cloud or mobile environments. Fortinet ranks #1 in the most security appliances shipped worldwide and more than 290,000 customers trust Fortinet to protect their businesses. Learn more at http://www.fortinet.com, the Fortinet Blog, or FortiGuard Labs. "Ingram Micro continues to support Fortinet through developed and delivered resources and programs such as the Cyber Threat Assessment Program (CTAP) and our technical enablement. We are excited to build on the success of our Fortinet relationship and support Fortinet’s efforts throughout the entire security sales cycle." -Eric Kohl, executive director, Advanced Solutions, Ingram Micro U.S.